Are you planning to host your next corporate bash with a band? There are a few key elements of a party that can really help to set it off. They can transform an average event into an awesome one – or a mediocre party into a mind blowing experience! A band is one of these key party features. Of course it has to be the right kind of band – not just any will do. For a fantastic corporate event, you need to choose a band that complements the kind of guests attending, the image of your company and your desired tone for the night. For example, hosting a punk rock band at an event for senior shareholders is unlikely to be your best bet. On the other hand, a classical quartet probably won’t go down a treat with a younger audience. Use common sense and good judgement when it comes to choosing a band for your party. After all, music really does set the atmosphere for the night. Maybe even ask your staff for suggestions. There are always plenty of cover bands who can play a wide range of music that is usually inoffensive while still giving off an entertaining, party vibe. Once you’ve chosen your band, and before you make your final commitment, it’s important that you talk to your audio visual expert about hiring all the right equipment. After all, there’s no point in having a great band if they’re not able to be heard or if the sound is of poor quality. The kind of equipment you should consider includes microphones (usually with one stand or more), speakers, subwoofers and of course all the right leads and cords. You might even need a mixing desk and its accessories. You will also need to think about elements such as staging and lighting if you want your event to truly make an impression. Setting all this up should also be left to the expert. Your audio visual equipment hire service provider can should work with the band to set everything up and make sure it all goes off without a hitch. 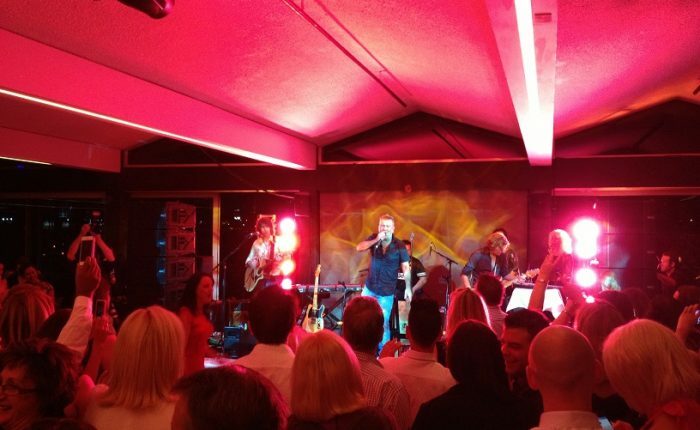 If you are planning to host your next corporate bash with a band, and want to make sure it goes off without a hitch, why not talk to the experts at Pro Light & Sound? We have the experience, the equipment and the knowledge required to help take your corporate bash to the next level and ensure it is remembered for years to come.